It was once said of Attlee that he was like a cricket ball – the higher he rose, the more elusive he became. In an oft-quoted phrase, Professor Vernon Bogdanor once called Attlee ‘the enigma’ of twentieth-century British history. This book begins with the assertion that the enigma has yet to be cracked. The gallons of ink spilled on Winston Churchill - and the huge appetite for books about him - have created something of an imbalance in our understanding of twentieth-century Britain. Not only does Clement Attlee's life deserve to have a rightful place alongside the Churchill legend. It is also more emblematic, and more representative, of Britain in his time. It is difficult to think of another individual through whom one can better tell the story of how Britain changed from the high imperialism of Queen Victoria's Diamond Jubilee of 1897, through two world wars, the great depression, the nuclear age and the Cold War, and the transition from empire into commonwealth. 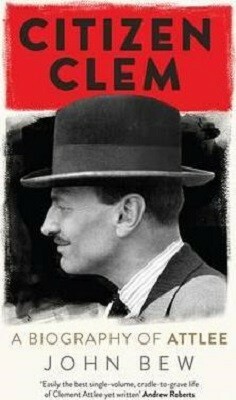 The story of Attlee is also much more dramatic than he himself ever made out - and not without an element of heroism. Here was a man born in the governing class who devoted his life to the service of the poor; who was carried off the battlefield three times in the First World War; who stood shoulder to shoulder with Churchill at Britain's darkest moment, and then triumphed over him at the general election of 1945. His government of 1945-51 included Ernest Bevin, Herbert Morrison and Nye Bevan and was the most radical in history, giving us the NHS, National Insurance, NATO and the atomic bomb. In many ways we still live in a world of Attlee's creation. This book will pierce the reticence of Attlee and explore the intellectual foundations and core beliefs of one of the most important figures in twentieth-century British history, arguing that he remains underappreciated, rather than simply underestimated. It will reveal a public servant and patriotic socialist, who never lost sight of the national interest and whose view of humanity and belief in solidarity was grafted onto the Union Jack.